The basis for all collision detections is analytical geometry. Math can answer the question where two primitives intersect or give the distance between two objects. This post will only cover such basic functions. So it is a collection of primitive - primitive relation functions. There are two functions given. The first only returns collision or not. The second variant returns a resolvement vector. 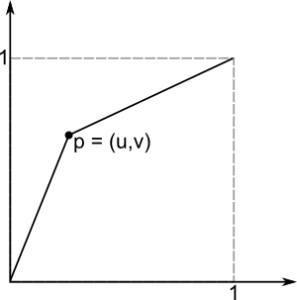 This is a translation vector which have to be applied to object 1 to move the two objects out of each other. 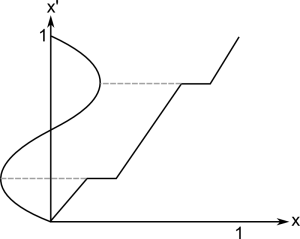 For a detection the distance has to be less or equal to the sum of the radi. 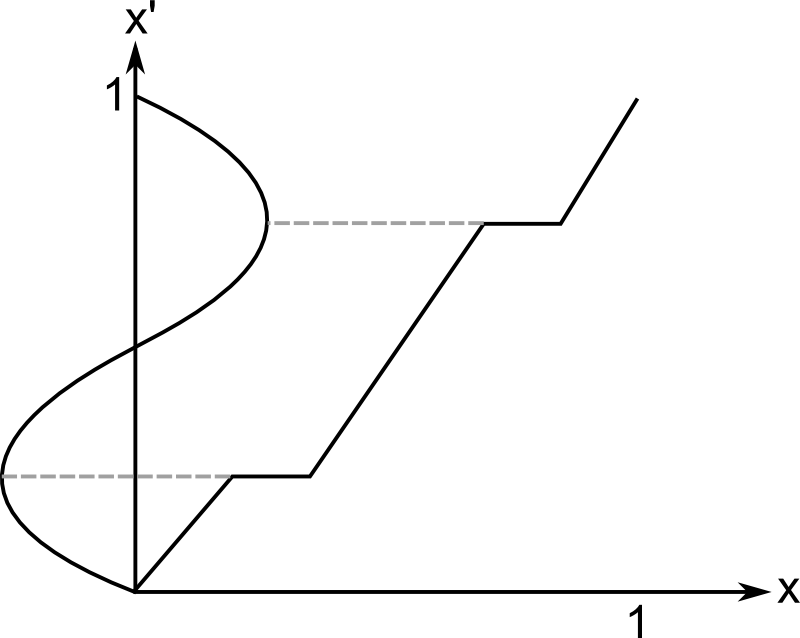 For resolvement just take the connection between the midpoints and the intersection length. 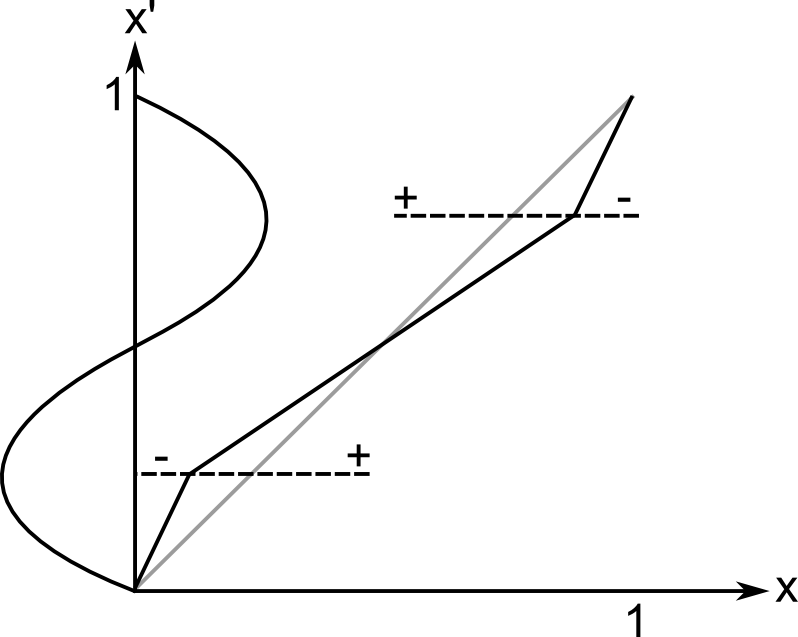 First the nearest point on a straight must be computed. If this point does not lie between the start and the end point choose the start or end point respectively. 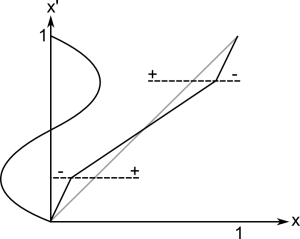 The resolvement vector is the connection between sphere center and the nearest point on the line. The usual way to do this is to project the sphere center to the triangle's plane. Afterwards the barycentric coordinates of the point would be calculated to test if it is inside. If not we still have to test whether the circle from the plane-sphere cut intersects with a triangle or not. Therefore it is sufficient to test the 3 line-sphere cuts because the center is definitely outside. I changed the middle part to hopefully increase the speed. Instead of calculating the barycentric coordinates I compute the closest points on all three sides which I would need in the last step non the less. Then the following condition must be true if the point is inside: the opposite vertex to a side (and therefore a point on that side) must lie on two different "sides" of the projected center. So the dot product of the vectors from the center to a closest point on a triangle-side and to the related triangle-vertex has to be at least 0. There was one problem when using a full triangle collision in the game Pathfinder. Imagine a box made of triangles. Then the sphere is placed on top near to an edge. The simulation will first push the sphere down. Afterwards the collision detection would report two triangles. The one on the top and one of a side where the sphere collides with a back face. This has the effect that the sphere is pushed away from the edge to the box center on the upper side. To avoid that I use the condition if( fDist < 0.0f || fDist > _S.fRadius ) in lines 10 and 46 instead of if( abs(fDist) > _S.fRadius ) . 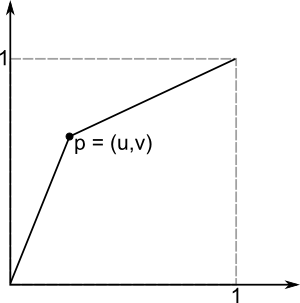 // direction as the nearest point if P lies inside the triangle. This entry was posted in Math on 27. June 2013 by Johannes.